The only in-line, real time moisture analyser that measures the moisture content of hygroscopic plastics, which can be displayed in percent or ppm. The in-line moisture minder can be fitted wherever best suits your application; most commonly the machine throat or dryer take off. Set alarm thresholds to close a slide gate or stop your processing machine if the moisture level is out of tolerance. Measures the dielectric constant within the polymer. Ensures that only water content is measured without being affected by other volatiles. 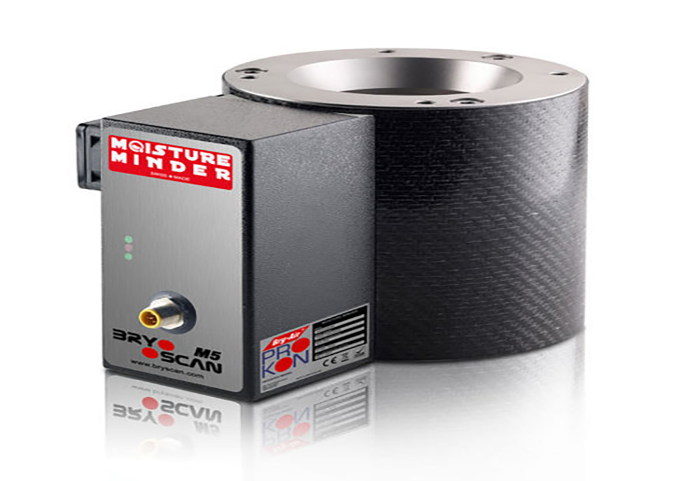 In-line measurement, taking readings every 30 milliseconds. All material in production is measured – not just small samples. Accurate readings down to 5ppm.